Our global network of suppliers means we have the capability to source pharmaceuticals from anywhere in the world. We only buy direct from manufacturers or fully audited and accredited wholesalers. We have extensive regulatory knowledge and are able to run programs on a compassionate and named patient basis. We also have top quality distribution capabilities. Our stocks include a full range of contraceptives including, pills, diaphragms, patches and condoms as well as LARC methods. We also supply testing kits & lubrication Jellies. With large storage and warehousing facilities, established logistics and delivery procedures we can provide full distribution and logistic services for third party medical and pharmaceutical products. We maintain contracts with a number of well-known brands and we can tailor our facilities and service to match your needs. Logic electronic cigarettes and Ice Power pain management cream are amoung the product ranges we distribute throughout the UK. 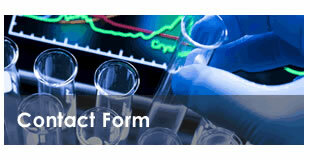 If you have a product you would like distributed and marketed in the UK pharmaceutical sector please get in touch. Our in-house not-for-profit team ranging from pharmacists to warehouse and logistics specialists are available to answer any of your enquiries you may have.